Support the South Hills Trails System by registering for the 19th annual Don’t Fence Me In Trail Run taking place Saturday, May 11, 2019. All proceeds support Prickly Pear Land Trust’s conservation and trail work in the service area. Click around for information and descriptions of trails! Toggle different boxes for different kinds of trails and trail experiences! Check out recommended routes for ideas for short family adventures or all-day pursuits! There is something new for everyone to find with PPLT’s interactive trail map. The South Hills Trails are an icon for Helena, MT. To buy our newest South Hills Trail Map, stop by the PPLT office, The Base Camp, Great Divide Cyclery, Big Sky Cyclery, or Capitol Sports. There is also a link to download our FREE Avenza map for all mobile devices! As part of our community conservation efforts, Tenmile Creek Park has been developed over the last few years and added to our local trails system. With the help of our partnering agencies and a variety of funders, the 180 acre park has 3 looped miles of wide, flat and accessible trails. Since Prickly Pear Land Trust’s founding, public access to the outdoors has been a major driver of PPLT’s conservation work. Expanding public lands and establishing recreational corridors for multi-use trails for hiking, mountain biking, dog walking, and family picnics is key in fulfilling PPLT’s mission. Creating and maintaining a cohesive, sustainable, accessible and Happy Trails system on these lands is something we continue to work on every day, so that all may have a genuine outdoor experience. 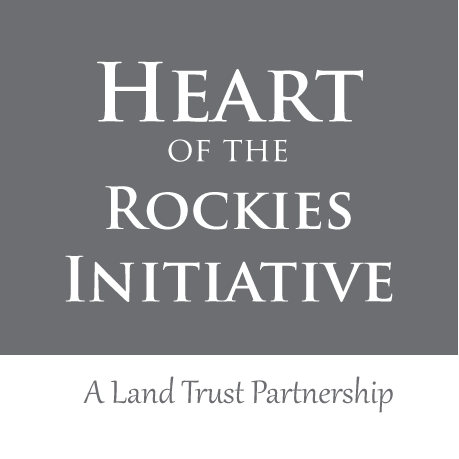 In Helena’s South Hills, PPLT has been the lead trail builder and maintenance provider on behalf of the City of Helena since 2001 and for the Forest Service since 2006. The Land Trust and its supporters are heavily invested in the South Hills trail system, having devoted a great deal of effort in funding, acquiring, and transferring these open lands to both the City and Helena Ranger District. We are committed to ensuring both the lands and the 70+ miles of trail are stewarded and maintained to deliver high quality recreational experiences. We are likewise dedicated to preserving the natural value and character of these iconic spaces for all future generations. The Trails are Popular: According to a 2017 trail study South Hills Trails see over 60,000 users each year, and that number is growing! With its easy access from town, it is not uncommon to see many Helenans and visitors alike out enjoying the trails. The front sides of Mt. Helena and Mt. Ascension see the most traffic while you’re more likely to find solitude farther from the City Center. Trails are Multi-Use: Helena has been awarded Silver-Medal Ride Center status by the International Mountain Biking Association (IMBA). We are proud of that designation, but please note that this system is almost entirely multi-use. Normal yielding practices apply, so bikes yield to pedestrians. Bike riders should be aware that families, runners, other bikers, dogs and hikers may be around the next corner. Ride in control, slow down when you see others and always yield with a smile! The Hills are Wild: Although you may start your adventure right in the middle of town, please keep in mind that the South Hills can be rugged and are home to a variety of wild species. Proper preparation and precautions can help keep you and the critters safe. Always bring water, a map, and your cell phone (with the trail map downloaded). Ever wonder what exactly PPLT coordinates in the off season and accomplishes during trail season? Here is a comprised list of what is on the docket for 2019! PPLT collaborated with local artist, Mel Griffin, for some fun reminders of how to maintain our Happy Trails! PPLT volunteers accomplish a diverse set of trail tasks each year. Learn what trail work days we have set for this project season! PPLT connects people to the land in all ways: on a horse, bike, your own feet, in a wheelchair, running, or playing with your children. Each year, we recruit hundreds of volunteers to perform necessary improvements and mitigate the damage caused by weather and frequent use. PPLT does this on its own property at Tenmile Creek Park and on behalf of our partners at the City of Helena and Helena Ranger District in the South Hills. The trails program focuses on balancing the quality of the natural resources with that of the user experience. Fencing, weed removal, gravel resurfacing, drainage improvements, brushing, trail retreading, and signage installation are just a few of our annual tasks. Our vision for the trail system prioritizes not only access, but positive trail experiences for our entire community. Trail maps, the Trail Steward program, trail etiquette campaign and other Community Programming are all important to ensure Happy Trails for all in this community. PPLT is the primary partner of the City of Helena and Helena Ranger District in implementing priority trail projects. On top of performing maintenance and enhancement projects, we are experienced in trail building. After land management authorities have performed the required environmental analysis, weighed public comment, and made the decision to pursue a new trail, PPLT partners with the land manager to execute the plan. We provide all types of support for trail builds, from fundraising and grant writing to directing on-the-ground work with contractors and volunteer labor. Every PPLT project, conserved piece of land, and well maintained trail is made possible through the generous donations of our community members and business partners. Become a PPLT Member today!